Sarah Palin’s politics, rhetoric, or gun-toting lifestyle. go to the heart of our contemporary Roman Catholic leadership problem….from Rome to NewYork. First of all she stressed that the United States is now governed by a permanent political class, drawn from both parties, that is cut off from the concerns of regular people. Hmmm I thought….just like our bishops. Thirdly, and here especially her observations reflect the current Church scenario. Palin stressed that the real political divide in the United States is no longer between friends and foes of Big Government, but between friends and foes of vast, remote, unaccountable institutions (both public and private). YES INDEED ………….Vast, remote, and unaccountable institutions………….. They listen best to their own voices. The analogy you make bet. government and church is terribly exact. 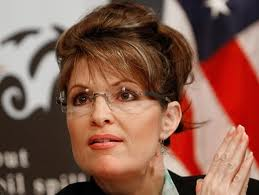 To get insight or clarification from Palin is indeed a surprise but there it is. Thank you.